View More In Neon Signs - Page 5. A new addition to your bar is here! 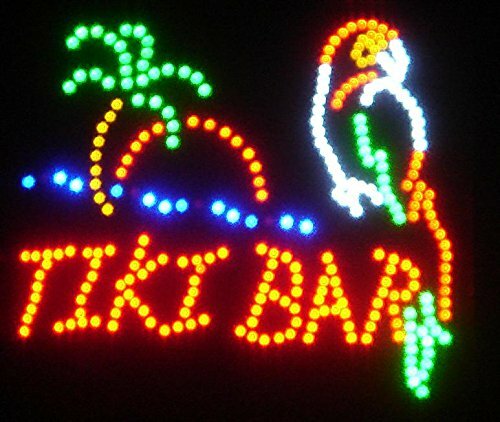 Our Parrot Tiki Bar LED Sign has bright bulbs. The Tiki Bar words flash. The Parrot, palm tree, ocean, and sun stay on all the time. The words Tiki Bar flash at different speeds. This sign plugs into the wall and has an on off switch built on the cord. These come with chains to hang in any window (suction cups not included) or from the ceiling/wall. Great for a home bar or business bar! Great gift idea.